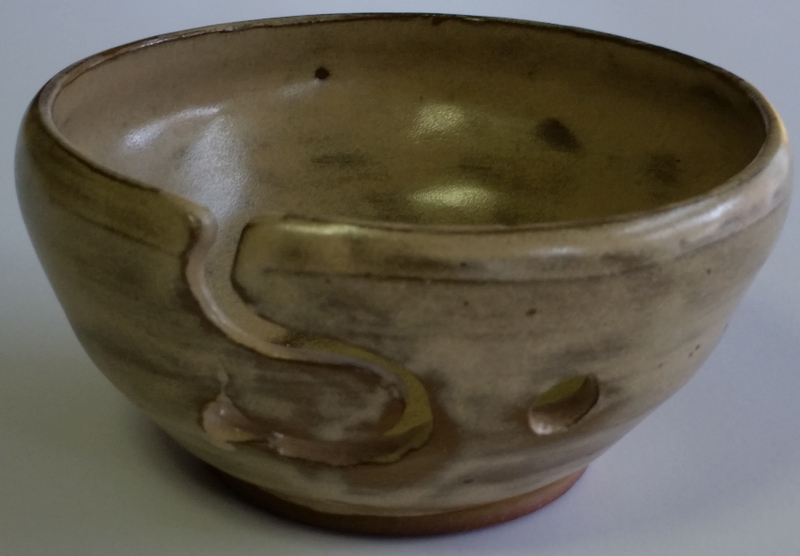 Yarn bowls hand thrown and fired by local potter, Steve Cann. 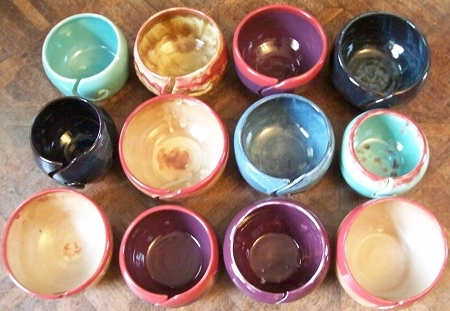 Each bowl is one of a kind. 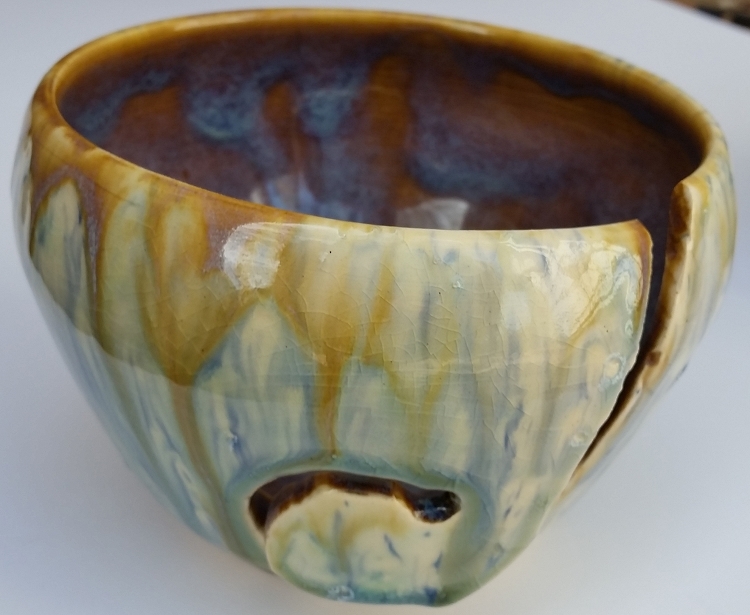 Finishes vary from shiny to dull depending on the glaze used, but all are beautiful. 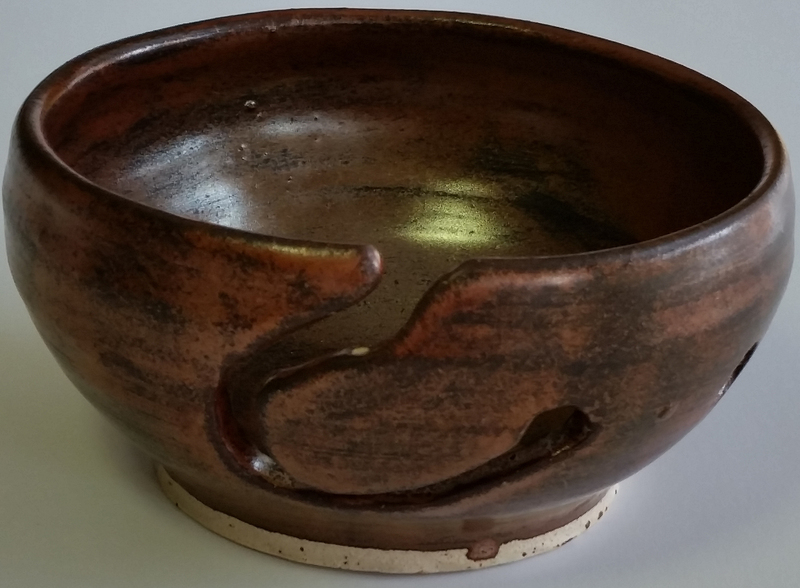 Diameter of the bowls is approximately 6" to 6 3/4", with a few of them being larger or smaller. 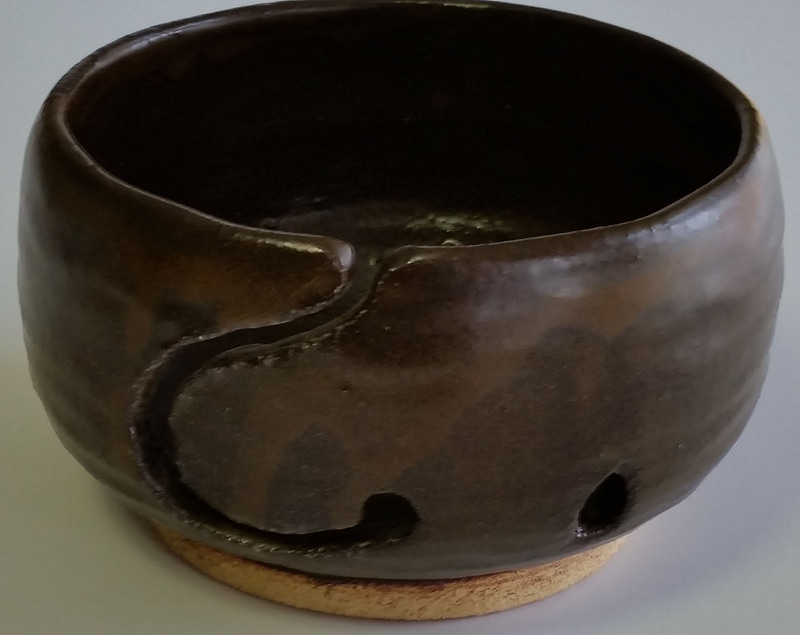 Each bowl has had a cork bottom added to help keep it from sliding and to also protect the furniture it may be sitting on. I've been amazed at how much more smoothly the yarn feeds to my knitting when using a yarn bowl. There's no ball rolling away, no tangles, and the feed is even smoother when coming from a small center-pull skein instead of a ball. 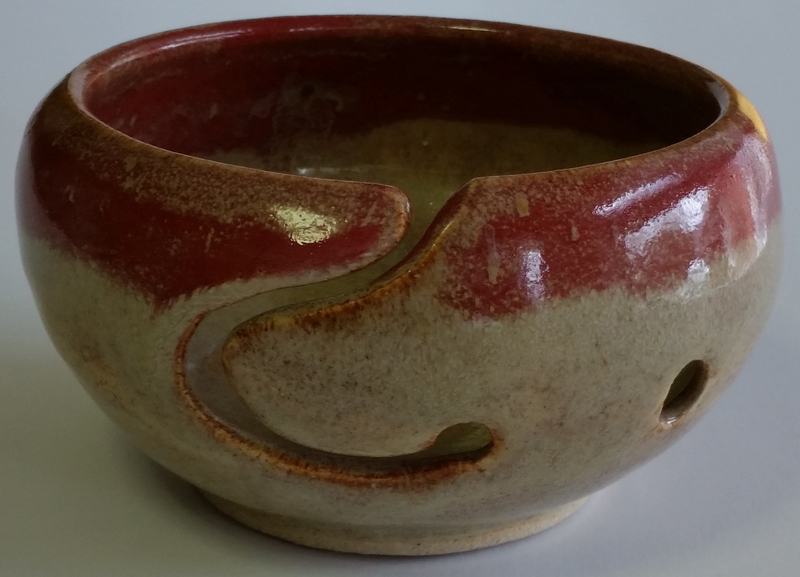 The potter and Knit Bin are working together to offer these quality bowls at a much lower price than found elsewhere. Take advantage of this opportunity to get a prized item. If you don't want to use it for yarn, just enjoy looking at it! There's no guarantee that the price will remain this low. 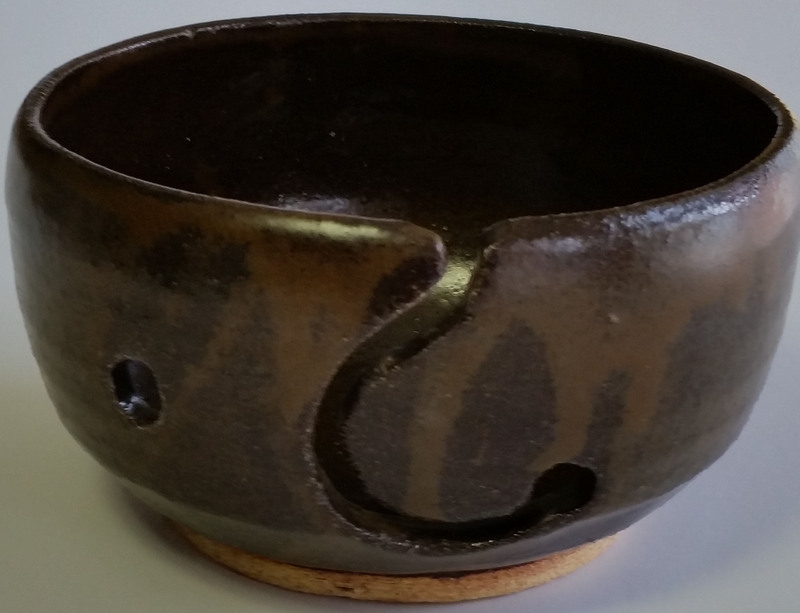 Please note that since these are hand crafted items, occasionally one will show slight imperfections that are natural in this process and make each item unique. All are high quality. Color may vary somewhat on individual monitors. 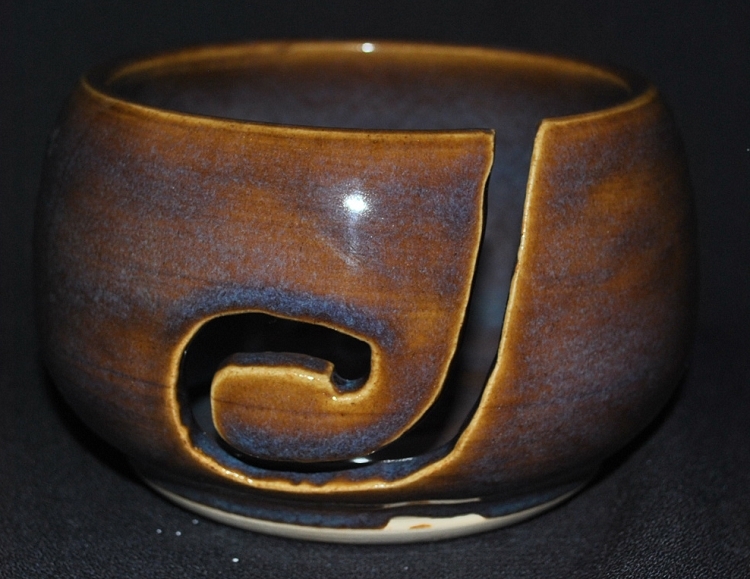 This yarn bowl is beautifully made. It is well worth the money. Thank you! In the thank you note he mentioned "I especially like how deep the yarn slot is - good for keeping everything orderly. :-)"
Love it! 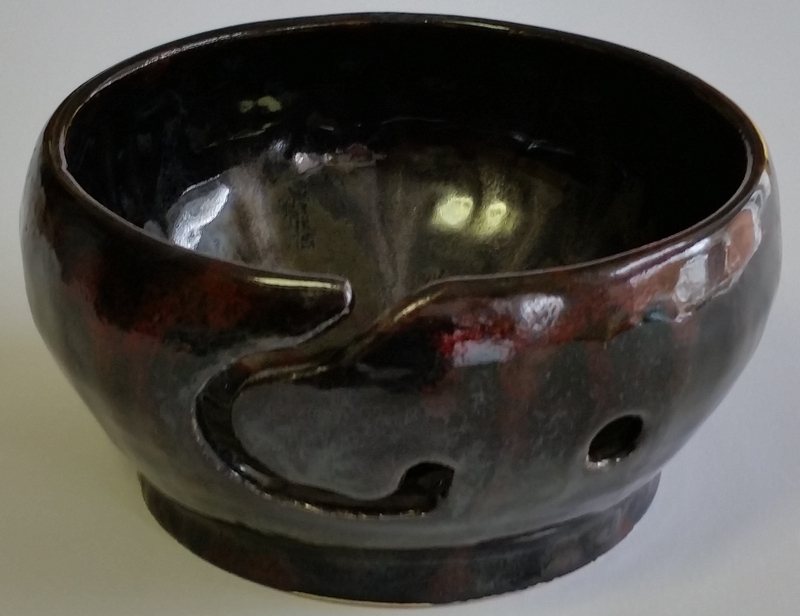 Color of bowl is much prettier, than the picture shows Bowl is Crafted Nicely. Perfect size. And what better - it works & gets the job done. 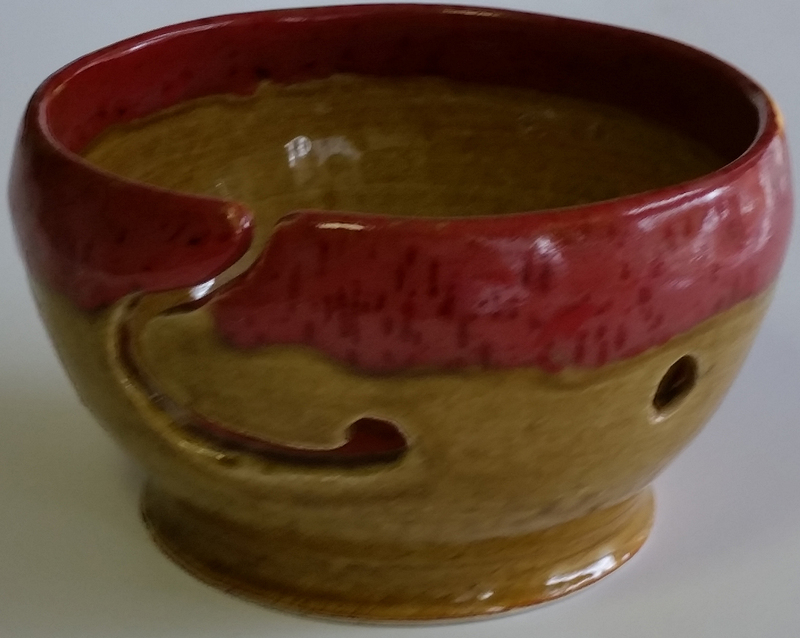 I love, love, love my yarn bowl. I was a little leery at first because of the rough edges on the yarn feed. But no worries! 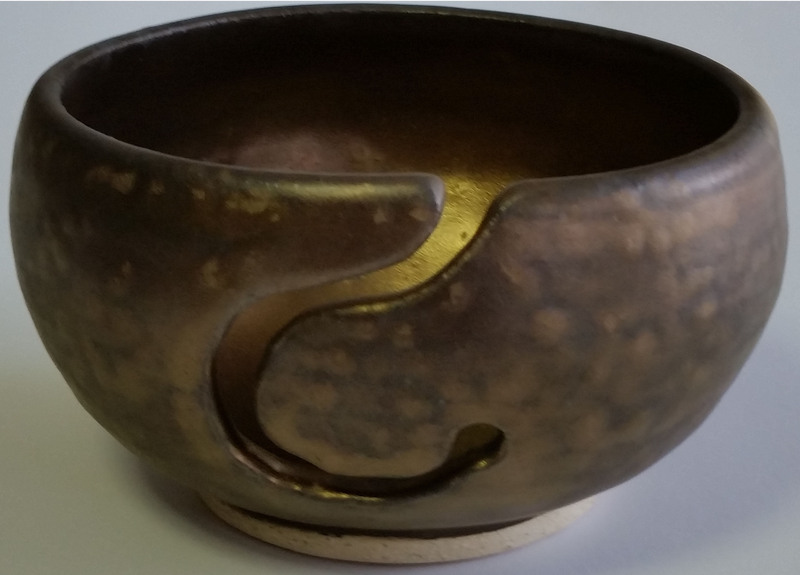 I have finished a shrug and a pair of men's fingerless gloves and the bowl has done exactly what it is supposed to do! It feeds me the yarn without fuss or muss. It is wonderful. Thank you so much.